Penelope Cruz Joins The Already Star-Studded ‘Grimsby’!!! 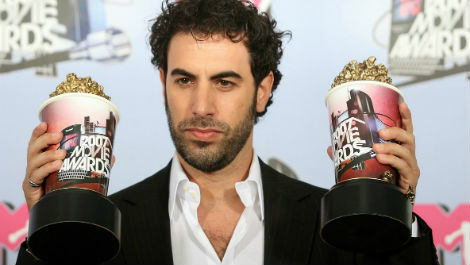 Sacha Baron Cohen has been on the radar in the entertainment industry since the mid 90’s. It wasn’t until ‘Borat‘ that I learned he was the same guy that was in ‘Talladega Nights: The Ballad of Ricky Bobby‘. I know, I know, I missed the whole ‘Da Ali G Show‘. However, I knew if I saw him in something I was going to laugh myself into unconsciousness due to lack of oxygen from that unfortunate, and rather obnoxious, wheezing laugh I get sometimes. His career continued to soar and I didn’t really notice him again until 2007’s ‘Sweeney Todd: The Demon Barber of Fleet Street‘ as the self-sure Pirelli. I don’t know about anyone else, but I was blown away by his performance. The breath control, the beautiful timbre that resonated in his voice just astounded me. How could this be the same guy that ran around naked for the majority of a movie?! I had sold this guy short for many years, then came another chance to prove his acting and singing ability in ‘Les Miserables’ by playing one half of the villainous tavern-owner duo, Monsieur Thenardier. 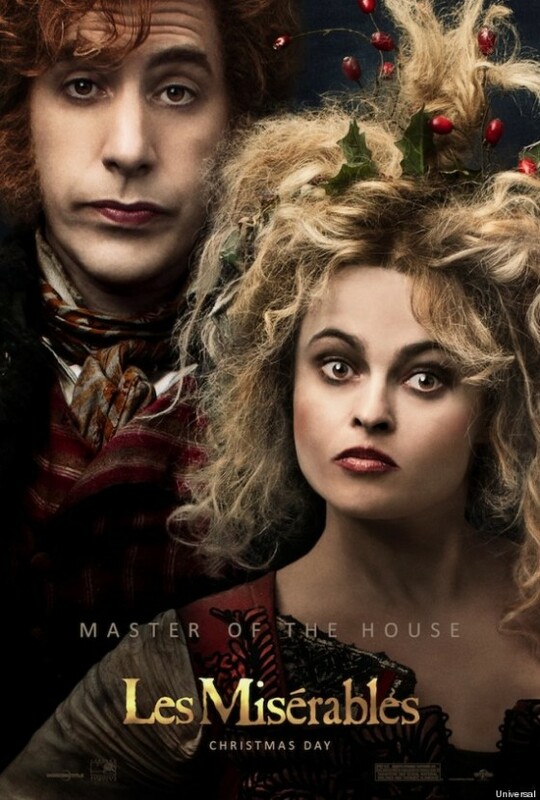 His partner in crime, played, perfectly by Helena Bonham Carter. Add on top of that my knowledge that Baron Cohen is married to none other than Isla Fisher! Now, Baron Cohen is attached to ‘Grimsby‘ as screenwriter and co-star. There is a mountain of celebrated actors and actresses that have signed on to be in the film: Isla Fisher (‘Confessions of a Shopaholic‘), Rebel Wilson (‘Pitch Perfect‘) , Mark Strong (‘Green Lantern‘) , Ian McShane (‘Pirates of the Caribbean: On Stranger Tides‘), Scott Adkins (‘The Legend of Hercules‘), Gabourey Sidibe (‘Precious‘). Sounds like a full crew, right? There’s room for another big-name actress in the line-up. Penelope Cruz (‘Blow‘, ‘Vanilla Sky‘)is coming aboard the Sony comedy. ‘Grimsby‘ tells a story that follows a British black ops spy, played by Strong, who’s forced to team up with his idiotic English football hooligan brother played by Baron Cohen. The picture will be directed by Louis Leterrier with story by Baron Cohen and Phil Johnston, the duo also wrote the screenplay with Peter Baynham. Production is set to start sometime this summer. ‘The Brothers Grimsby’ Trailer Is Here – Enjoy!!! Film Review: ‘Now You See Me’!! This entry was posted on Thursday, July 10th, 2014 at 12:09 am	and is filed under Film, News. You can follow any responses to this entry through the RSS 2.0 feed. You can skip to the end and leave a response. Pinging is currently not allowed. « Coen Brothers Collect All-Star Cast for ‘Hail Caesar’!! !